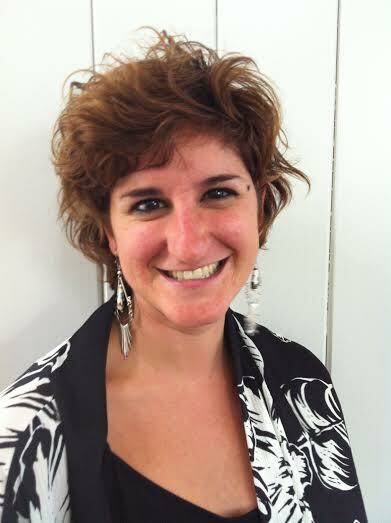 We are excited to introduce Nadia Saccardi to our team of Ambassadors. She has stepped in mid-way through the year to replace Sophie Pitman who unfortunately is no longer able to continue it the role. My name is Nadia Saccardi and I look forward to being one of the Costume Society Ambassadors! My first experience of the Society was through the wonderful Symposium Student Bursary Award that gave me the extraordinary opportunity to participate to the Society's Annual Symposium this year 2014 in Exeter. I am currently an MA Fashion Curation student at the London College of Fashion and I graduated in Culture and Technology of Fashion at the Università degli Studi di Padova. I have an eclectic interest in dress, spanning from the 16th century to nowadays, with a particular emphasis on how to show historical garments and textiles in ways that both respect their biography and relevance, as well as engage with contemporary audiences. I am now working on my MA final project, dedicated to the phenomenon of women cross-dressing in England between 1570s and 1625s. This object of analysis gives me the opportunity to explore the relation between dress and the construction of a gendered identity.